This timeless design with its gracefully arched top compliments all decors from classic to modern while providing an elegant showcase for your collection. Choose from four sizes starting at GBP 133.-. 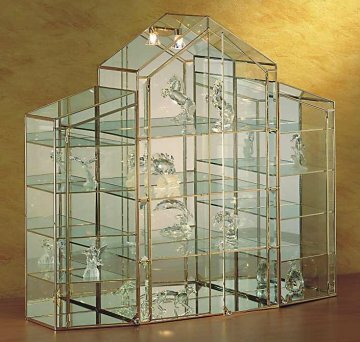 The largest size is available with variable shelf spacing that can accommodate figurines up to ten inches in height. 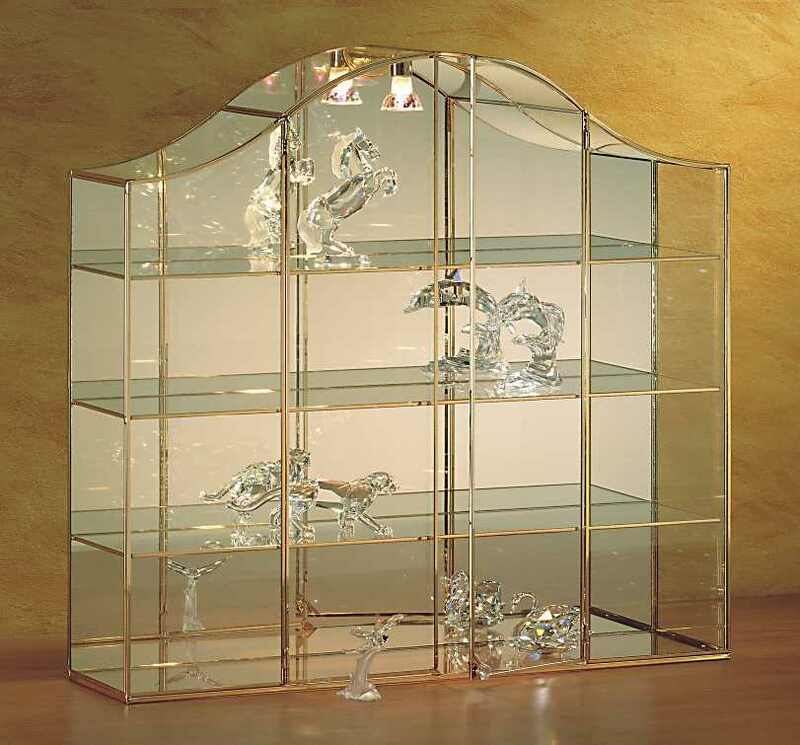 This most impressive three piece sectional display case offers sufficient space to display a large collection and includes a top shelf with extra room for larger items. Composed of three independent sections, you can begin with the central collector’s case and later add the left and right sections as your collection grows. Originally sold exclusively through Swarovski distributors in Europe, AMA Crystal Cabinets have been the first choice of the most discerning collectors for over fifteen years. With delicate profiles of either 24 carat gold plate or polished nickel (silver), each glass cabinet is handmade by European craftsmen. The heirloom quality of our elegant showcases will enhance the impeccable taste and beauty of your collection for years to come. 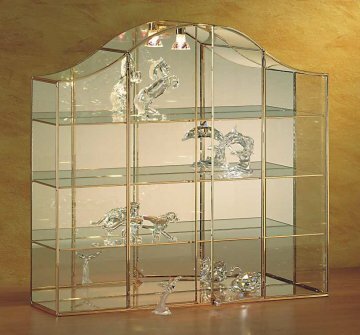 AMA Crystal Cabinets are available in a variety of sizes. 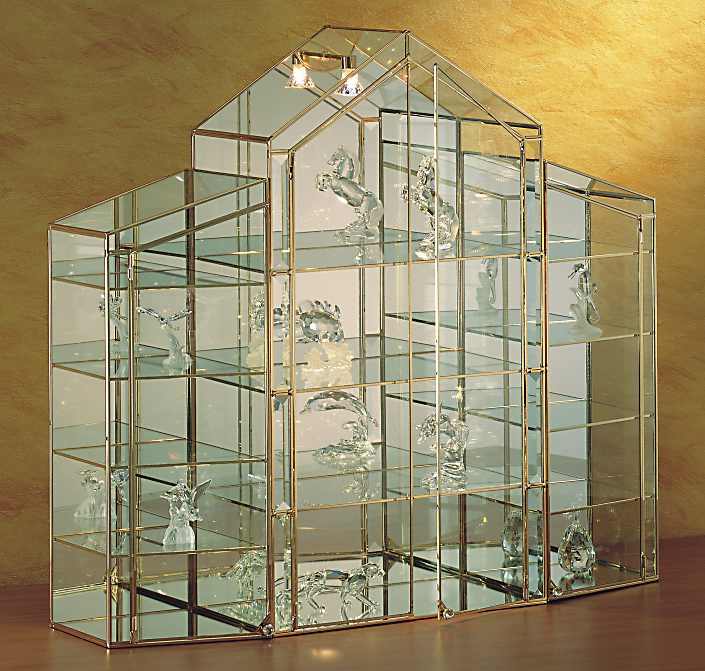 Each elegant, handcrafted glass case is fully enclosed with a door opening to the front. Ideal for collections of Swarovski Crystal or fine art collectibles, all cabinets have a high quality halogen lighting system to further enhance the beauty of your collection.